Graduating without student loan debt isn’t easy, but it can be done. Early legwork can make a big difference, and your credentials, transcripts, and SAT score all matter, as well. But if you can remain flexible with your expectations, you can graduate from college without student loan debt. To obtain federal financial aid — including grants — you must complete a standardized request form known as the FAFSA, or Free Application for Federal Student Aid. The FAFSA may qualify you for several different types of federal grants, including the Pell Grant, Federal Supplemental Educational Opportunity Grant (FSEOG), Academic Competitiveness Grant, and SMART (Science and Mathematics Access to Retain Talent) Grant. Pell grants comprise the largest share of free government money for undergraduates. 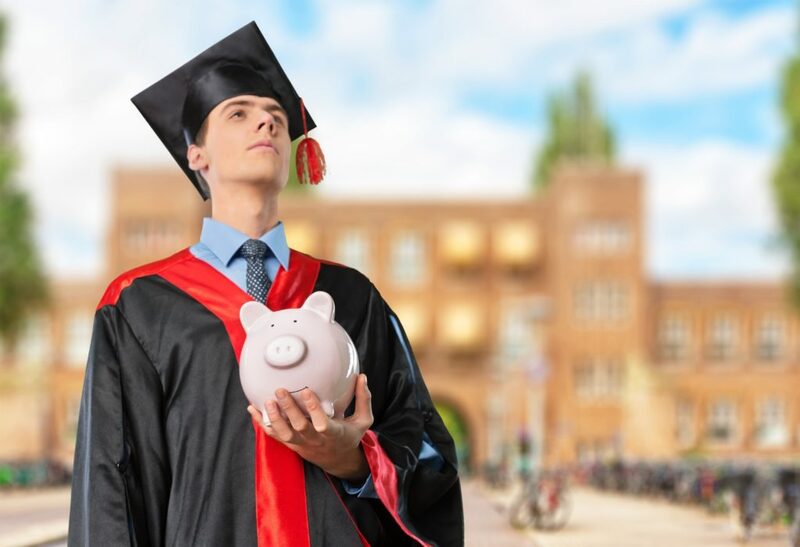 Veterans have multiple options for free money for college, and more than 60 percent of private employers now provide some form of tuition assistance. Regardless of what form of assistance you apply for, make sure to get your applications in on time. Always start with the FAFSA. It’s free money. For an excellent guide to completing the FAFSA, see Credit Loan’s Ultimate FAFSA Guide. If you can get a private scholarship, you may in turn be eligible for others. Yet private scholarships represent just 4 percent of college funding, and you must often seek them out earlier than other types of funding. Many colleges also reduce financial aid offers by the amount of the private scholarship award. Local and smaller scholarships are often easier to obtain. Fastweb and CollegeNET.com are two of the leading scholarship search sites. Once you are accepted, your college will inform you of your eligible financial aid package. Haggle, if appropriate. If your financial aid is lower than you expected or can afford, write a formal letter of appeal. Emphasize how you’re a good fit for the school. If you received more aid from a different college, be sure to mention it in your appeal letter. If your family’s financial circumstances have changed since you completed the FAFSA, an explanatory letter may persuade the financial aid office to offer more. Work-study jobs allow student to work part-time to earn money for living expenses. Most (but not all) work-study jobs are on campus. You can apply for a work-study job through the FAFSA. The jobs allow students to earn hourly wages up to the amount of the work-study award. If you don’t qualify for work-study, look for another type of part-time job. If you don’t have enough to make expenses from savings or income, get your side-hustle on. Dorms are usually much less expensive than living off-campus. Skip the meal plan if you’re a light eater, and don’t eat out. Buy used books. Hit your parents up for pocket money. Do what you must to keep your expenses to a minimum. Don’t live on credit. Don’t use student loan money for spring break. Cut the cord on cable. You should be reading and writing and thinking, anyway. If you need time off from your studies, hit the college gym. That’s free. If the college that you have your heart set on is out of your price range, then you must choose a different college. Know what you want to study before you begin. That will help you to weed out the colleges that do not meet your requirements for job preparation. Then compare tuition. College admission officers must make cost-benefit analysis on each prospective student. You must do so, too, on each prospective university. Also consider obtaining your associate degree from a local community college (economy!) then transferring to a university for your bachelor’s degree. Research beforehand which colleges freely allow transfer of credits. Choose your courses wisely. Night, weekend, and online courses allow greater flexibility for those who continue to work while obtaining a degree. The cost of college has risen more than any other sector of the economy, and at the same time, we encourage young adults to take on more and more student loan debt. Student loans cannot be discharged in bankruptcy. And the burden of student loan debt has wide-ranging, deleterious effects on our economy, from homeownership to entrepreneurship. 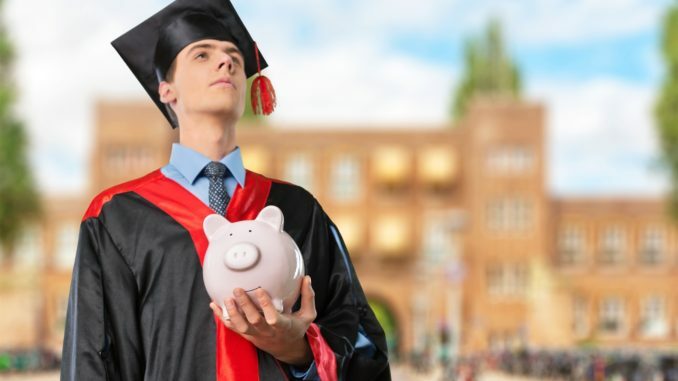 If you must take out student loans, be sure not to take out more money than you will need. Graduating without student loan debt often is very difficult. But it can be done, especially if you can be flexible with your expectations.